Over the years Pestbusters have built a strong reputation in all aspects of pest control and rodent control across Manchester, the North West and the surrounding areas. 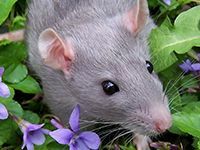 We are specialists in rat control, insect control, vermin control, bird control, and rodent control through Manchester and, with our 24 hours a day, 7 days a week service, we are always on hand to deal with your pest problems. Pestbusters provide professional pest control services across Manchester. We have worked on pest infestations both large and small and we will work closely with you to ensure that your problem can be completely eradicated. We operate quickly and discreetly so you can be rest assured that all due care and attention is taken to make you pest-free as soon as possible. With a customer base that includes private home owners, businesses, industrial units, retail operations, factories and schools across Manchester and further afield, we offer a competitively priced package for pest control services throughout Manchester and the wider North West region. 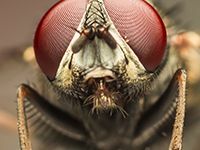 Pest infestations at your home property or your business premises can be environmentally damaging, cause health issues and ultimately lose you customers so if you identify a pest problem then please do not hesitate to contact us. The quicker we can get to the root of the problem the quicker you will be able to return to business as usual. 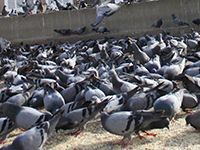 Some pest infestations can be difficult to locate but this is not an issue for Pestbusters. We are used to operating in areas which are difficult to get to and, with the use of the latest equipment and eco-friendly products, we can eradicate pest control problems whatever the scenario might be. We will look for a solution that gives you long term peace of mind and we are always happy to give you free advice on how to avoid pest infestations in the future. Manchester is the commercial centre of the North West of England and is famous for its sporting links, cultural attractions and industrial heritage. Traditional industries may have declined in the city but these have been replaced by hi-tech industries and a strong services sector. Many large UK and international companies have branches or headquarters in the city and it is regarded as a leading financial and business services centre. Manchester was an important city during the industrial revolution and since then, the city’s industrial, commercial and housing sectors have gone from strength to strength. 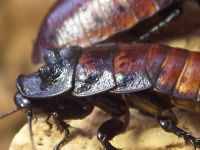 Pestbusters have been serving the community of Manchester for several years with high quality pest control services and offer competitive prices for pest control solutions. If you are based in Manchester or surrounding areas like Bury, Bolton, Salford, Oldham, Rochdale, Stockport, Ashton Under Lyne or Altrincham and are experiencing a pest infestation problem then please do not hesitate to contact us. We provide an extensive pest control and rodent control and can help you with a solution. Contact us now on 08000 35 1000 and speak to one of our specialist team.